At a meeting of the council’s Community Services Committee last week, members heard how Achievement of Curriculum for Excellence (CfE) Levels for 2017/18 show that pupils in P1, P7 and S3 are performing better than the national average in all four categories. Pupils in P4 are doing better than the national average too, with the exception of listening and talking, which is just one per cent lower. 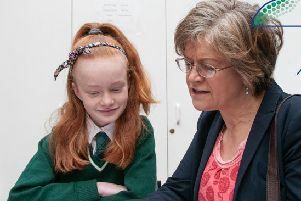 Argyll and Bute Council’s policy lead for education, Councillor Yvonne McNeilly, said: “These figures are extremely encouraging and show just how dedicated our teachers and young people are to achieve such fantastic results. “To be above the national average in even some of these categories is great result, but to be higher in them all, with the exception of one, is truly outstanding. “We want the very best start for all our young people, and to ensure that they go on to achieve success in life.